Once upon a time, in the scullery at the Royal Academy Shools a young woman, sporting a head dress reminiscent of Hilda Ogden – said to me ‘ you shouldn’t use excessively hot water (to wash your brushes) – it loosens the ferrule’. Yellow bars of Sunlight soap adorned the scullery at the Schools along with a notice from the Keeper to the effect of: ‘Tidy-up after yourselves or else …. Peter Greenham BA RAS’. It wasn’t long before the sculpture department annexed this area. Always in need of more space you see – more lebensraum. The scullery anecdote was a Royal Academy Schools tradition – regardless of one’s caste. Another colleague (Vaughan), said of the student corpus at the Schools ‘50% Debs, 50% Plebs – that’s what you get here’. Caste might be a better way of addressing the perennial issue of ‘class’ within the British education system, for it is here the notion of ‘class’ and the mechanisms that make it what it is, are established. From an early age, citizens of Hope and Glory are sorted into two piles – those who are deemed ‘smelly’ (by the hot-house flowers lucky enough to go to fee paying schools), and those who are ‘odourless’. The chary illusion maintained at the Royle Academy Schools, of a union of class values under Art’s tender embrace, is just that: an illusion. Hot-house flowers are more likely to inherit the Earth, rather than the meek or anyone else. Though it might be a finishing school for liberal, aristocratic misfits, the Royal Academy Schools could do a lot more on behalf of those who are simply liberal misfits, smelly or not. During the noughties, Eliza Bonham-Carter wended her way into the Keeper’s office. With a double-barrelled name, representative of a family who (like the Darlings and Peter Pan) you’re most likely to find in Kensington – such a move is easier for her, than it would be for a Pleb. It might have been Eileen Cooper who began the process of ‘dismantling the patriarchy’ at the Schools by having a large crucifix bearing a cast of a flayed ‘Jesus’ removed from the life drawing room. Tinkering with the fabric of the place is one thing, co-opting Tracey Emin as ‘Professor of Drawing’ is another. 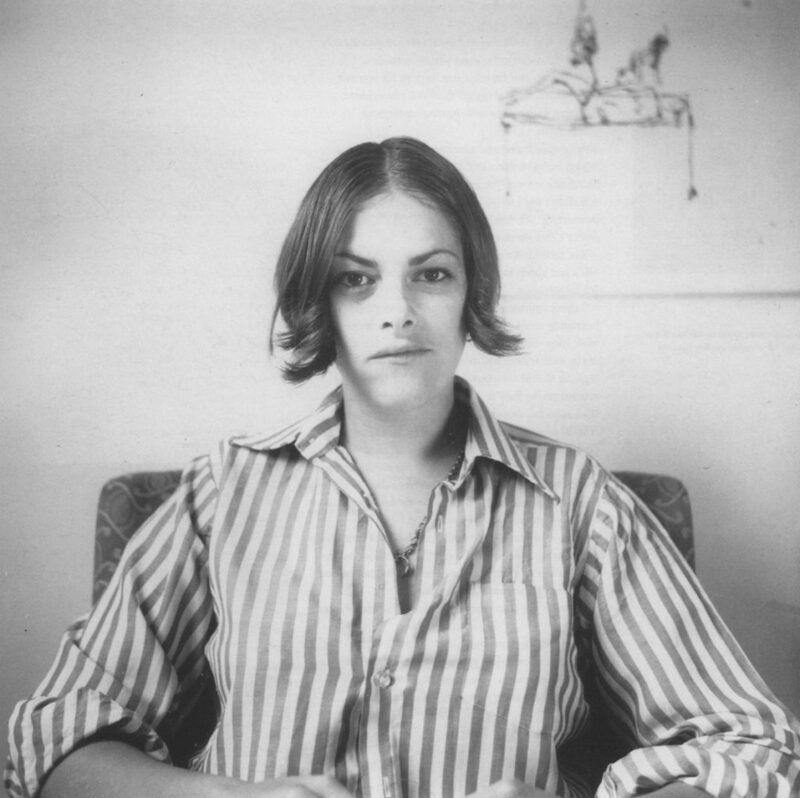 A likeable character, who has achieved fame and success as ‘an artist’, Ms Emin has never been known for her draftswomanship – which is why her appointment is questionable. Her ‘Professorship’ is at least a nod to some sort of union of class values under Art’s tender embrace; she’s not really of debutante provenance. Emin cites Egon Schiele as her Art hero – a telling preference for an alleged feminist. We all know between the two of them, who the drawing master is. Besides, Ms Emin would have to go well off piste to ascend to Schiele’s lofty heights, (shag her brother and get banged up for bothering under age children for starters). The Schools were once the engine room of drawing in this country, with a solid, earthy patina of Victoriana about them. The tradition of working from life throughout the first year of a student’s attendance has been abandoned. 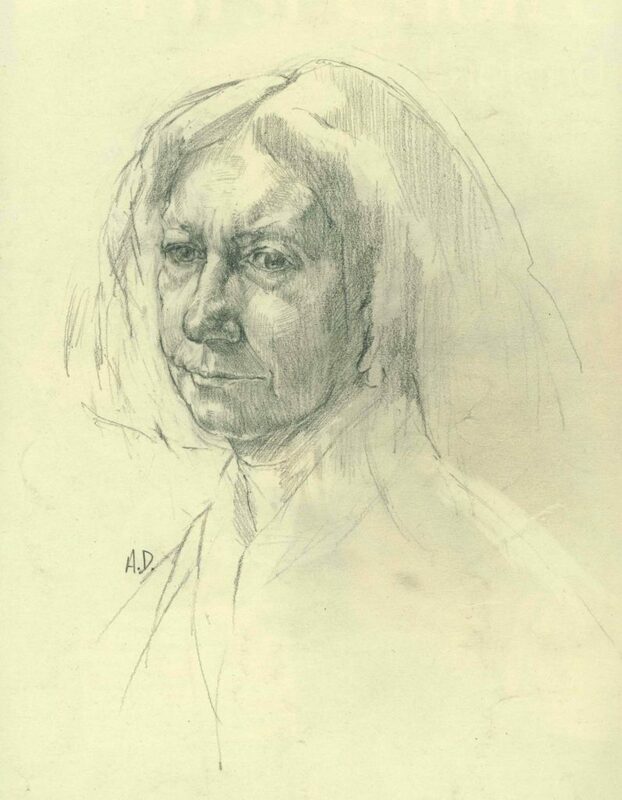 Life drawing is still practiced within Art curricula around the World, probably because it can teach students about perception in the act of relating to another human being. This is one of my drawings, made at the Schools. Titled ‘Beryl’ after the name of the model who posed for us, it is a good example of what the Schools (and me) were once capable of. People who’ve seen it first hand liken it to Ruskin, Raphael and even Leonardo. It takes a certain pitch of performance to be able to draw like this and it takes all the apparatus of the Royal Academy Schools (as was), including Norman Blamey RA, to educe. Why are such traditions put asunder? Nietzsche’s prescient remark about the British: ‘their love of comfort and fashion‘ rings true. Previous administrations at the Royal Academy Schools overlaid and interleaved tradition with respect to the drawing process, which has always been a characteristic of the place. It was a cultural virtue for this aesthetic like the Olympic flame, to be passed on. Can the feminist tryst, characteristic of the Schools present administration effect this sort of learning? Now it seems the life-drawing room is left fallow more often than not. Hilary Oliver, ex technician at the Royal Academy Schools said to me ‘the students wouldn’t know what an easel looks like, let alone how to use one’. Such is the state of play. Tracey Emin has been quoted as saying the Cameron/Clegg coalition government of yore ‘is the best ever’? Does this belie a lack of perceptual ability in the national treasure? Walter Woodington, previous Schools secretary and quiet Communist would disagree with her. Let’s hope Ms. Emin sprinkles a little stardust on her charges, hot-house flowers and all, because they will need it (and so will she – as a teaching strategy) if they are to elicit any sort of connection between Classical values and all the Royal coat of arms is supposed to sanction – under Art’s tender embrace . 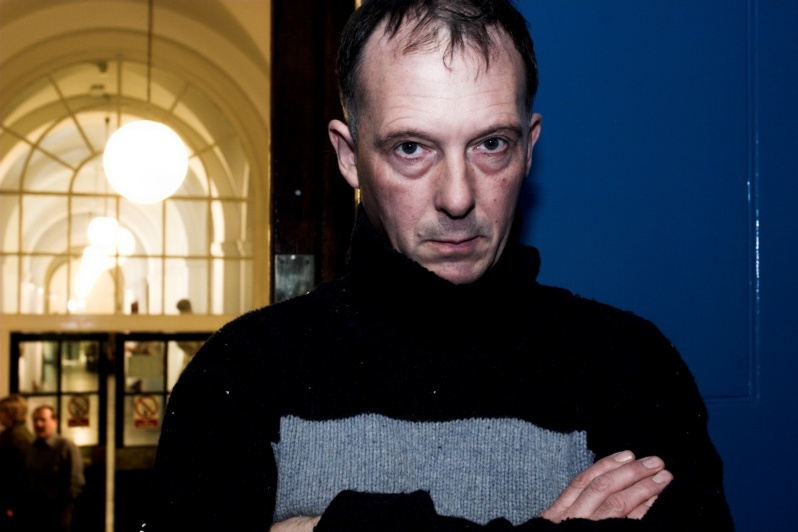 Photo of Alan Dedman by Casey Moore. Photo of Tracey Emin – Southwark Council. 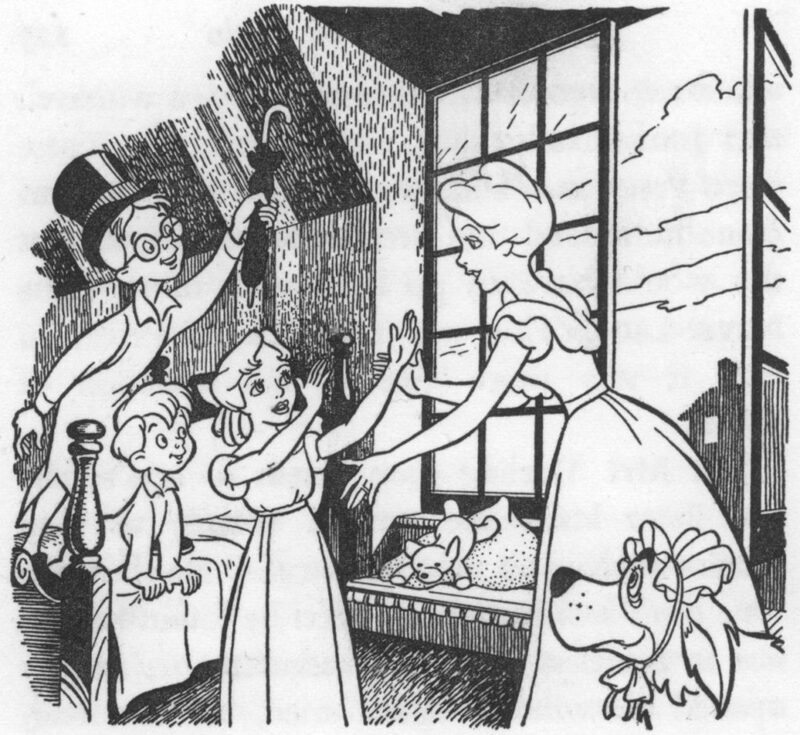 Illustration by Walt Disney from JM Barrie’s ‘Peter Pan’.